Season of bloom: Mid summer. Growing Conditions: Sun. Moist to wet soil. 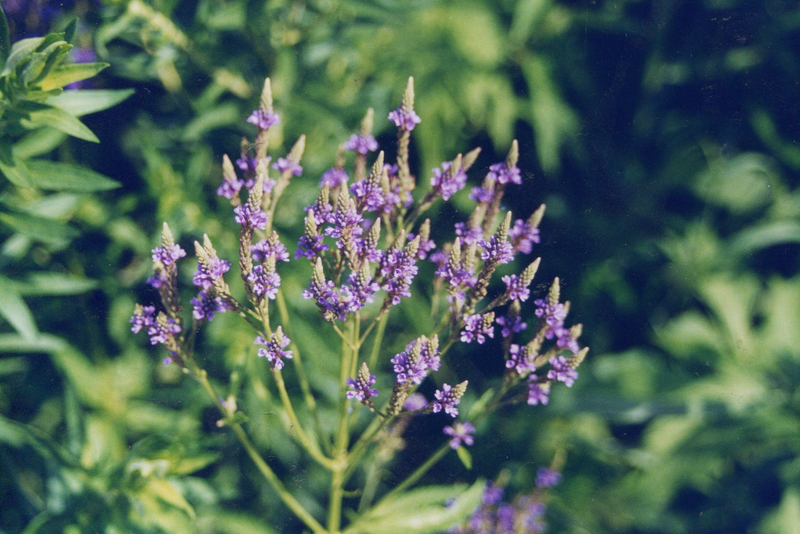 Wildlife benefits: The flowers of Blue Vervain attract many kinds of bees, including bumblebees, cuckoo bees, digger bees, the specialized Verbena Bee (Calliopsis verbenae) and pollinating wasps, bee flies, and other insects. Remarks: An elegant plant ideal for cottage shorelines.